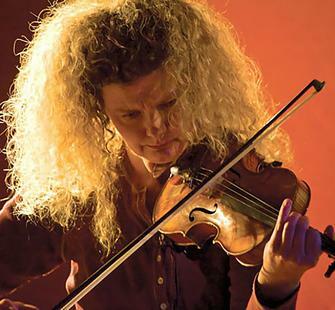 Considered by critics to be one of the most interesting and exciting performers on the contemporary scene today, the innovative violinist Mary Rowell cannot be classified. Known for her work with the Grammy Award® winning Tango Project, the indie band The Silos, and pop icon Joe Jackson, she has carved an indelible place in the contemporary classical music world with the post-classical quartet ETHEL, which she co-founded. Mary has performed, recorded and premiered countless scores of today’s composers as soloist and chamber musician. She has appeared as violin and electric violin soloist with the National Symphony, Houston Symphony, New York Chamber Orchestra, and Warsaw Philharmonic, among others and has stunned the dance world with her brilliant solo electric violin performances of Richard Einhorn’s Maxwell’s Demon. Mary is an ensemble member of the Tribeca New Music Festival specializing in the “Avante-Pop” and is half of the experimental Americana duo BRIM with composer/performer Eve Beglarian. A graduate of the Juilliard School, she is currently the concertmaster of both the Radio City Music Hall Orchestra and the Broadway hit show Newsies.